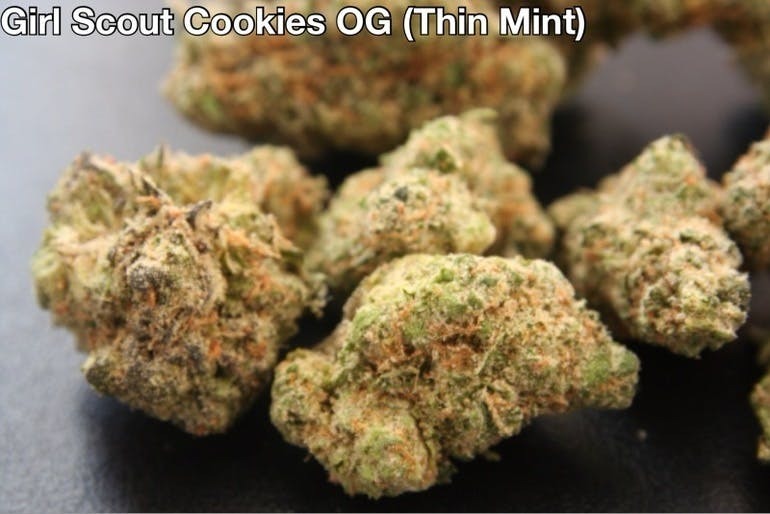 *Private Reserve* Girl Scout Cookies (Thin Mint), or GSC, is an OG Kush and Durban Poison hybrid cross whose reputation grew too large to stay within the borders of its California homeland. With a sweet and earthy aroma, Girl Scout Cookies launches you to euphoria’s top floor where full-body relaxation meets a time-bending cerebral space. A little goes a long way with this hybrid, whose THC heights have won Girl Scout Cookies numerous Cannabis Cup awards. Patients needing a strong dose of relief, however, may look to GSC for severe pain, nausea, and appetite loss.